What would inspire someone to set up miles and miles of steel fences three feet high and two feet deep in the sand hills of Nebraska? 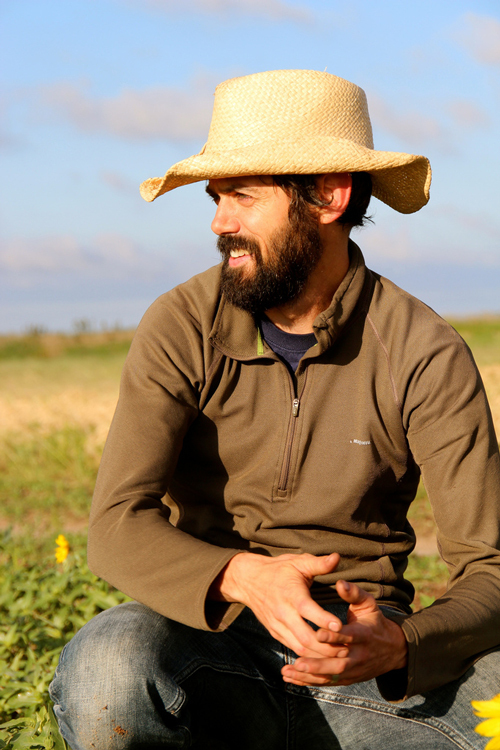 For newly hired evolutionary biologist Rowan Barrett, it’s just another day on the job. The experiment, to study the color of mouse coats, is a way to witness evolution in action, another avenue of unraveling exactly how organisms adapt to their changing environments. Barrett sat down with the McGill Reporter to explain his fascination with fences, deer mice, stickleback fish and lizards and how they all relate to his research about the genetic mechanisms which govern adaptation. 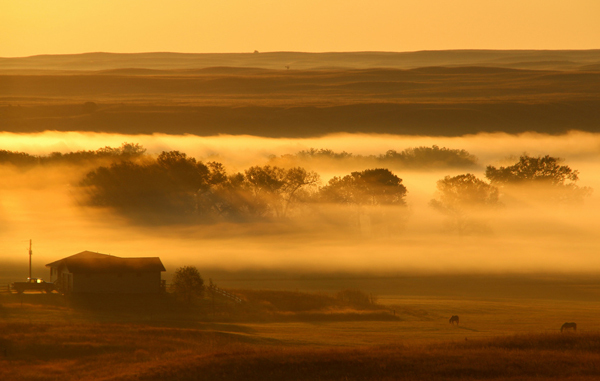 What would inspire someone to set up miles and miles of steel fences three feet high and two feet deep in the sand hills of Nebraska? For newly hired evolutionary biologist Rowan Barrett, it’s just another day on the job. The experiment, to study the color of mouse coats, is a way to witness evolution in action, another avenue of unraveling exactly how organisms adapt to their changing environments. Barrett, who holds a Master’s degree from McGill, is fresh from Harvard (where he was a postdoctoral fellow, sat down with the McGill Reporter to explain his fascination with fences, deer mice, stickleback fish and lizards and how they all relate to his research about the genetic mechanisms which govern adaptation. Barrett will be speaking at the first joint conference of Canadian Society of Ecology & Evolution, the Canadian Society of Zoologists and the Society of Canadian Limnologists – the largest gathering of Canadian organismal biologists May 25-29. The scientific program includes keynotes talks and plenary sessions open to the public, many take place at the Redpath Museum. Nebraska’s sand hills are where we are studying deer mouse populations to piece together how genetic diversity occurs, and to get a fundamental understanding of the genetics of adaptation. Before the recent formation of the sand hills, Nebraska’s soil was dark, and so were its deer mice. Today, most of the region’s mice have medium- to dark-brown coats, except for the ones found on the sand; the fur on these mice is lighter. Because mice that have dark fur and live on light sand are easy prey, the sand hills mice lucky enough to be born with a genetic mutation conferring lighter coat color were more likely to survive and breed. 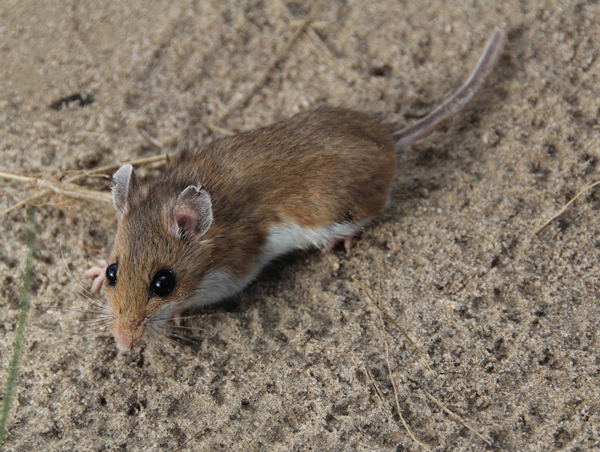 With each generation, the proportion of light mice would grow, while that of the dark mice would shrink, until eventually, the bulk of the sand hills mice sported beige fur. It’s a textbook tale that any high school student could explain. Thanks to a wealth of knowledge about both the ecology and the genetics of the Nebraska deer mice, the animals offer a rare opportunity to directly test the story, and to measure the effect of environmental conditions on evolution. And what will this tell you? I am interested in the genetic basis for adaptation in natural populations. In Nebraska, our goal was to get a genomic snapshot of what genetic changes were occurring in this mouse population; what genes were favored by natural selection and how do they interact to help improve survival or reproduction. Why is it crucial to understand the genetic consequences of natural selection? Because all organisms are affected by their environments and all have DNA. When we determine how genes interact to produce adaptive phenotypes, this could help us understand antibiotic and HIV resistance to drugs, plant and insect resistance to pesticides, rapid changes in invasive species, life-history change in commercial fisheries, and pest adaptation to biological engineering products. These are all situations where an organism is being challenged by an environmental pressure and needs to adapt. Establishing the genetic basis of that process is a fundamental goal – understanding how it works in mice is a start. Because all organisms adapt through changes in their DNA, these basic evolutionary principles hold across all of life. And what role does climate change play in your work? Climate change is highly relevant for anyone studying adaptation. Some species migrate because of changes to the environment, but if can’t, they may need to evolve to survive. Are you worried about the impact of climate change? Yes I am definitely worried; the changes we see in the environment are huge, shifts that no other species have imposed. This has large impacts on biodiversity when species cannot evolve quickly enough to respond to the changes and go extinct. What led you to focus on genomics and evolution? I started as an evolutionary ecologist and was interested in how populations adapt to changing conditions. But, I realized that understanding the genetic basis of adaptation was hugely important for gaining predictive power. It’s one thing to document that natural selection has occurred, but, to take what you have found and predict future evolutionary change is much more difficult. It requires an understanding of how selection on phenotypes is transmitted to subsequent generations through changes at the genetic level. Why did you come back to McGill? I was in the U.S. for my postdoc and wanted to get back to Canada. I love Montreal. I enjoy working in a museum; I love the sense of history and seeing how people have attacked these problems in the past. I can draw inspiration and examples from their work. Looking at the genetic basis of adaptation in natural contexts. Evolutionary biology historically has been conducted at the lab bench looking at things in microscopes and imposing certain selection pressures on microbes in petri dishes and so on. But a new and exciting direction for the field of evolutionary genetics is to take this knowledge and test our theories in the wild. We don’t need to confine our work to bacteria in the lab – we can study mice, fish, lizards and other organisms in nature and directly estimate natural selection in action.